Toyota's Delivery Robot is designed to be a flexible home robotic helper. The prototype bot can retrieve different items for people with mobility problems, open doors, take out trash, bring food and so on. 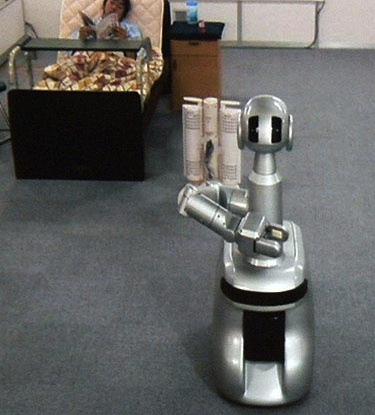 The Toyota Delivery Robot uses a range finder and object filter to generate maps and determine its position; it can do real-time navigation within homes. As you can see in the video below, it can avoid objects and people, and allows some degree of interference from outside forces. Take a look at this Toyota Delivery Robot video; note the side screen that shows the computer figuring its path.